A few months ago Microsoft released a free antivirus program named Microsoft Security Essentials (MSE). It is mainly for consumers and home users. You can download it here. 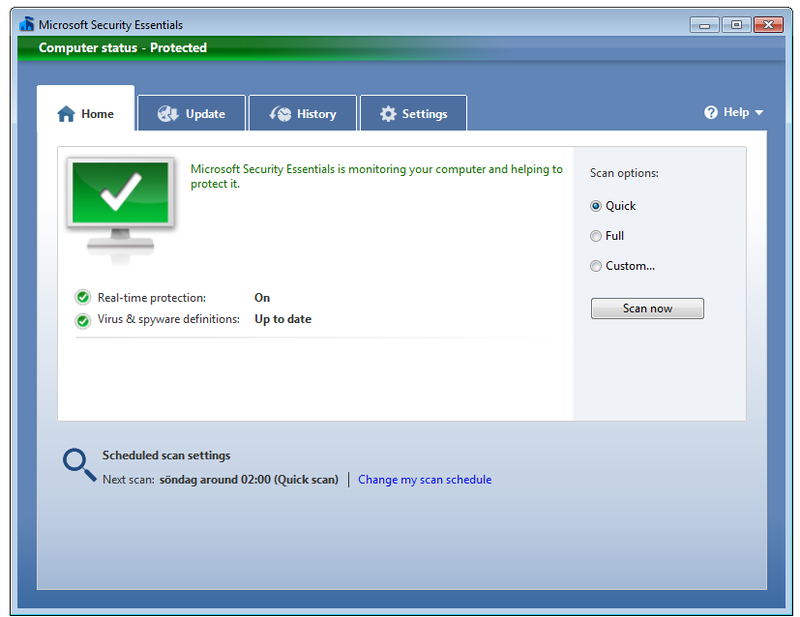 To see how MSE works, check out this blog, Introducing Microsoft Security Essentials. With MSE, you don’t need to run other antivirus, anti-spyware software products such as McAfee and Symantec (Norton). In fact, you need to uninstall these products first before installing MSE. While MSE is not a direct replacement of Microsoft’s Defender, you don’t need to run it either. If you are an XP user, installing MSE will automatically remove Defender. If Defender is not removed, you should manually remove it from the Control panel. If you are a Vista or Windows 7 user, you will NOT be able to remove Defender. However, installing MSE will automatically disable Defender. If for any reason Defender is not disabled, you should manually disable it to prevent from performance degradation. It is worth noting that Microsoft Forefront Client Security is another antivirus product from Microsoft. Unlike MSE, Forefront is designed for business customers. It provides a centrally managed interface and is integrated into enterprise IT infrastructure products such as Active Directory. You can find more info on Microsoft Forefront Client Security here.